At the end of the day, what did YOUTH think? 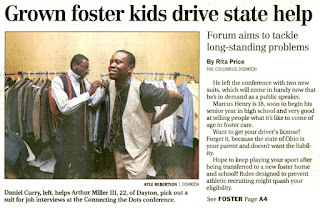 When it comes to the 2012 Connecting the Dots Conference for Foster Care Teens and Young Adults, it is the YOUTH perceptions regarding the day went that are most important. Please keep this going, I love every bit of it. I feel and see that even people that don’t know me would like to see me succeed in life, and that gives me all the tools I need to keep my head up and stick to my road of success. Great conference!! I learned a lot. I enjoyed myself and I’m glad that I came. A lot of teens should come. Had a great time. Food was good. I think that this is a great program. Thank you. I would love to come again. Everything was helpful. Very good turnout. Staff was very nice. 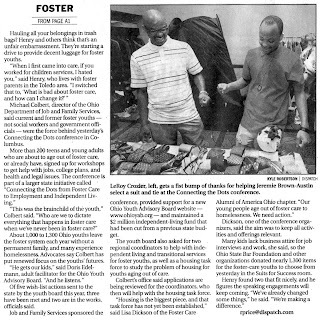 It was a fun event and I hope to do it again. I like all of the workshops that I attended – they were fun but very helpful. One young lady just wrote "Thanks" on the evaluation, over and over again, for each workshop category, ending with “Thanks so much” and a heart at the end. 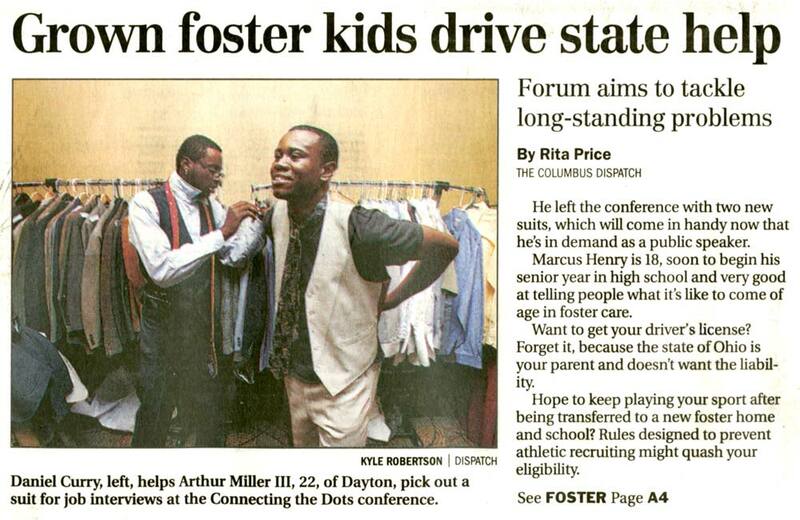 The 2012 Connecting the Dots Conference for Foster Care Teens and Young Adults was featured on the front page of the Columbus Dispatch on Saturday, August 4, 2012.